We have had an personal interest in motorsports for years, beginning with cars of all makes and models and then onto our life passion of motorcycles. Detailing was something that was second nature as we all want to protect and get our own rides looking their best no matter what they are. It is just something only an enthusiast would understand, so it was an easy hobby to pursue and perfect. As the years went on the obsession became more serious. We tried and tested a huge range of products - from the more popular and retail products all the way to high end boutique and trade products. We could see how these products performed and reacted to different metals, paints, plastics, carbon and chrome work and most importantly - was it worth the cost and end result. We use only the very best products no matter what brand or price point. We continually look for safe and effective products in the marketplace - it gives us better scope and understanding to test new products as we never just sit on what we have. The same can be said about our processes and work technique. We are constantly trying to better our techniques and processes through training from manufacturers and trade courses so we stay on top of current methods and new ideas. It is this eagerness to learn that keeps us at the forefront of detailing trends and keeps our clients coming back for more, whether it be for new products or staying on top of their own detailing maintenance schedules. 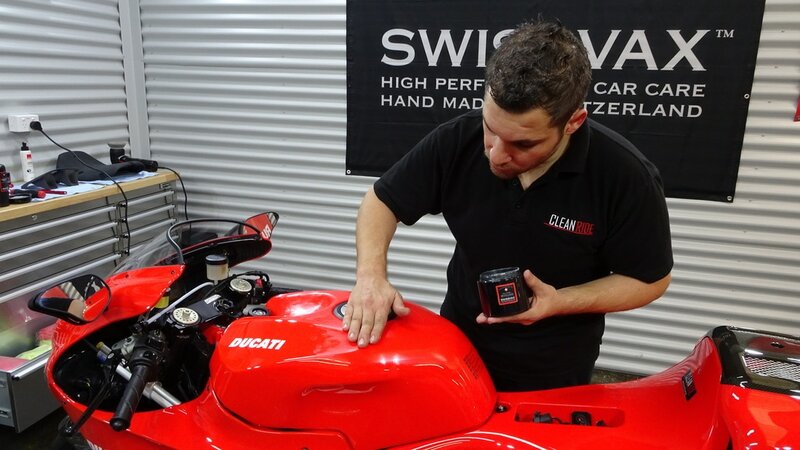 We have pushed the boundaries in motorcycle detailing and are proud to be the very first Authorised Swissvax Motorcycle Detailers in the world. 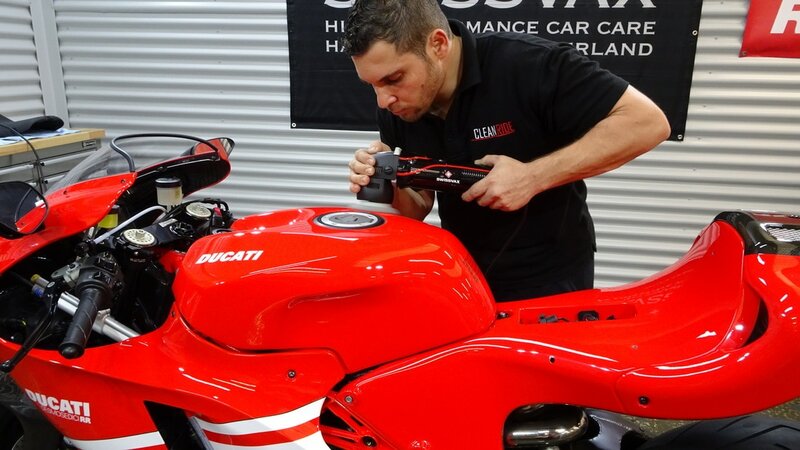 This passion has led us to open detailing studio's in both Perth and Adelaide dedicated to our trade and moved us to open the very first dedicated Certified Swissvax Bike Care Centre. ​We understand and fully embrace the philosophy that the minute you think you know everything the opposite will happen, so every customer and every project is a chance to prove our technique and products work so we can wow you, the customer, with the end result! We hope to see you soon to book in a detailing package, purchasing products to detail your own pride and joy or meet you at a motorcycle show or club event. We are always happy to offer advice and want to support the local motorcycle community the same way you have all supported us. No matter what you ride or race, we want to be there with you.